I suspect that this happens to each of us in some fashion. For instance, I’ve never once eaten a grape that tasted anything like the grape flavoring in Big League Chew, but if you give me the choice, I’ll choose a big wad of that purple shred every time. Our preference for the artificial will be tested when Peter Jackson’s film version of the Hobbit bows in theaters on December 14th. The reports from many preview screenings describe movie goers leaving the theater feeling nauseous. This isn’t because the film itself is disgusting, it’s because filmgoers are used to a very specific look and feel when it comes to our moving pictures. Since the early days of film, motion pictures have been captured by cameras that record 24 pictures for every second of film. Jackson filmed his new trilogy at double the amount of pictures per second. This provides an incredibly sharp picture, with much less blurring, especially as the actors or camera move quickly. Human eyes are capable of picking up even the subtlest of differences in this area. Television programs are typically filmed at a rate of 30 pictures per second and we can tell the quality difference between a movie and a PBS special. If we can see the difference that 6 additional frames make, imagine the difference that increasing that number to 48 creates? Critics are saying that the picture is too clear, like a a high-definition sports broadcast. Because the picture is so sharp, it feels like a T.V. show instead of a movie. Test audiences are saying that the movie doesn’t look like a movie, it looks like watching a live action play. When you factor in that the film will also be presented in 3D, there will probably be times when it feels like you are actually taking part in that play. The filmmaker’s desire to present us with “more realism” in our fantasy is meeting with a considerable amount of criticism. Golf buddies are less stressful than family. Friends w/benefits keeps us sexed yet available. Partial custody means you don’t have to play “bad cop”. Txt = less threatening than talk. If we can find a reasonable facsimile for considerably cheaper, why not settle for less than the best? Truth is, “actuality” is a lot of hard work. You don’t have to look very long to see that while we all want the “good life” we mostly live the “easy life”, grasping at whatever low-hanging fruit we can find while sprinting off to the next mediocre experience hoping that it will be satisfying. but haven’t you already heard that before? Has “demanding the best” really ever changed the amount of mediocrity in the world? The flaw in this thought process is that it promotes the idea that we deserve the best from others, while expecting them to be satisfied with our mediocrity. We demand sugar, while passing out Splenda. What if instead of “insisting on quality”, we all just stopped producing mediocrity ourselves? This is precisely what Peter Jackson is doing by pushing the envelope with his movie isn’t he? Reality is often difficult, disorienting and nausea inducing, but in the end, we get out of it what we are willing to put into it. Increasing the quality of our output increases the quality of life, not just for ourselves but for others as well. Even if they haven’t developed a taste for it yet. 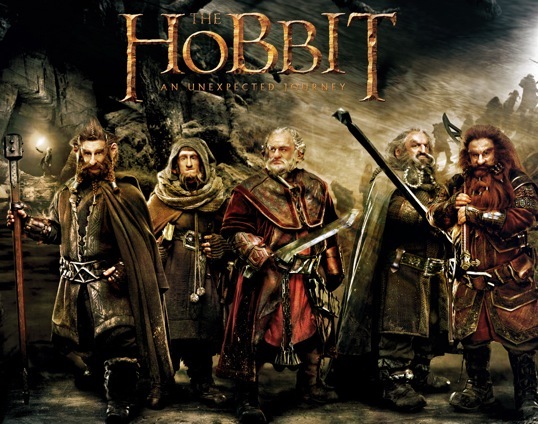 Go out and see The Hobbit at 48 frames per second. And have a real Coke while you’re at it.